Paul Gauguin Cruises, operator of the highest-rated and longest continually sailing luxury cruise ship in the South Pacific, m/s Paul Gauguin, announces 2017 voyages that feature popular favorites along with new, exotic 16- and 17-night Fiji & Bali itineraries and a collaborative program with the Wildlife Conservation Society. The 16-night Fiji to Bali voyage departs April 29, 2017, from Lautoka, Fiji, and visits Espiritu Santo, Vanuatu; Guadalcanal, Solomon Islands; Samarai Island, Papua New Guinea; Port Moresby, Papua New Guinea; Merauke, Indonesia; Dili, Timor-Leste; Komodo Island, Indonesia; Lembar, Lombok Island, Indonesia; and Benoa, Bali, Indonesia. The reverse itinerary, Bali to Fiji, is 17 nights and departs June 7, 2017. In 2017, The Gauguin will also be showcasing its most sought-after itineraries: the 7-night Tahiti & the Society Islands; 7-night Tahiti, the Society Islands & Tuamotus; 10-night Society Islands & Tuamotus; 11-nightCook Islands & Society Islands; and 14-night Marquesas, Tuamotus & Society Islands. Also in 2017, the popular 12- and 13-night Society Islands, Cook Islands, Tonga & Fiji itineraries return. In addition to sailing to beautiful islands in the South Pacific, and showcasing Polynesian culture and hospitality, these voyages feature complimentary access to Paul Gauguin Cruises’ two exclusive retreats—Motu Mahana, an islet off the coast of Taha’a, and a private beach in Bora Bora. At Motu Mahana, guests enjoy a day of watersports, Polynesian activities, a barbecue feast, and cocktails from full-service and floating bars. In Bora Bora, guests can relax on a white-sand beach and enjoy refreshments, a game of volleyball, and snorkeling in crystal-clear waters. 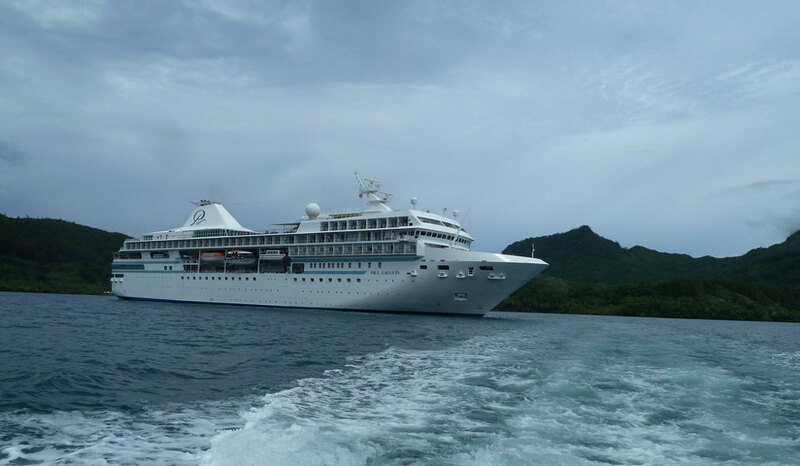 On The Gauguin’s July 26, 2017, voyage, Paul Gauguin Cruises will present its third Reunion Cruise, which features a special 10-night Cook Islands & Society Islands itinerary with two visits to the line’s private island paradise of Motu Mahana. Designed as a reunion for past guests of Paul Gauguin Cruises and as a gala welcome for newcomers, it presents a number of unique special events, including a festive dinner, cocktail and block parties, opportunities to mingle with senior staff and crew, and more. To launch its 2017 voyages, Paul Gauguin Cruises is offering savings of 50% off standard cruise fares on all 2017 voyages, plus included airfare from Los Angeles.